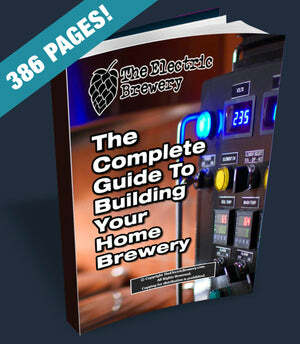 For use between 120V pumps with a regular non-locking plug and one of our Electric Brewery Control Panels. Industrial grade connector and plug instead of flimsy molded rubber that is easily damaged. Twist locking for safety. How long are the extension cords? Standard cords length is 4 feet, with 6 and 10 also available. Contact us for custom lengths. What sort of connectors/plugs are used? We use our NEMA 5-15 (125VAC, 15A) electrical female connector (pump side) attached to our NEMA L5-15 (125VAC, 15A) twist lock electrical male plug (control panel side). These are industrial grade plugs and connectors that features solid brass blades and contacts for improved conductivity, low resistance, low heat, and long life. The tough nylon body resists damage from impact, abrasion and chemicals. We do not use cheap molded rubber connectors/plugs as they are easily damaged and cannot be opened/replaced. We use premium premium SJEOOW 14 gauge 3-conductor wire that feature a thermoplastic elastomer jacket which means that the cable remains more flexible than standard (less expensive) cords. Rated from -50 to 105 degrees Celsius. These cords are designed for use in harsh environments where the highest degree for oil/water/weather resistance and extended service life are essential. Optional 1/4" expandable braided sleeving and 3/8" black heat shrink tubing is available to protect and give your extension cord a nice finished look.